Discussion regarding the gradual drop in the quality of American men’s tennis has circulated for the better part of the past decade. 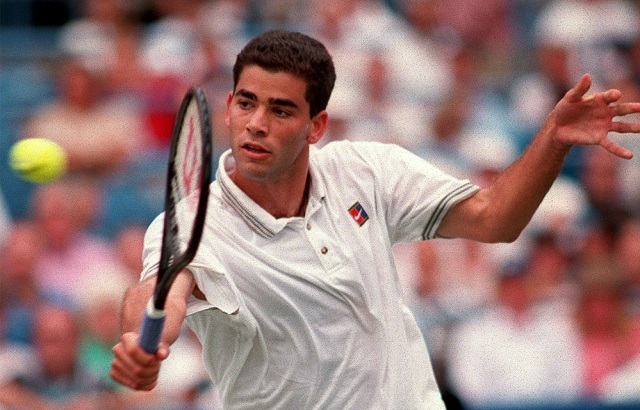 14-time Grand Slam champion Pete Sampras added his own opinion to the bubbling pot of criticism when he explained that he was not particularly thrilled with the direction that American men’s tennis is taking. “It looks a little bit on the slim side for American tennis. I don’t see anyone or really even know anyone that people talking about breaking through or even getting to the Top 10. Following several decades of consistent Men’s champions in the USA, including Jimmy Connors, John McEnroe, Sampras, Andre Agassi and Jim Courier, it is easy to contrast that golden age with the current drought. Now-retired Andy Roddick was the last American male to win a Grand Slam title for his country, and that took place eleven years ago at the US Open. Sampras believes that since the game expanded its reach internationally, American players have far more competition than the previous generations did. “We gotta take small steps you know. We are not in the 90’s anymore. The game has become so international and so global these days and a lot of kids are playing tennis around the world. It’s tougher on the Americans. Maybe the other kids are just more hungrier and we are just not producing enough young pros with potential. Nevertheless, the legendary champion hopes that this is nothing more than a temporary “phase” that will bring about a new age of American dominance in tennis.